Brooklyn Beckham in the Pit ……. Whilst enjoying my coffee at my favourite café this morning I read an article (Daily Mail by the way) that was saying that Brooklyn Beckham is going to be shooting artists/bands from the pit area at V Festival next month. Fine, not a problem. But will he have to abide by all the same rules that the rest of us have to abide by? contracts?, first 3 songs?, no flash?, will he be able to sell them after? does he work for an agency?, will he be in the ‘scrum’ with the rest of us or will he have a minder or special access? He is probably a really good photographer, has the best equipment that mum and dad can buy but so are many others out there who do not have the contacts that his family obviously does. But I would like to see him ‘go through the mill’ may be even use a different name to see if his photographs would sell over anybody else’s images, not just oh they are Beckham’s images we must buy/use them !!!!! If of course that is what happens, does it? I am guessing of course as I am not in that lofty world but it wouldn’t surprise me if it were the case. Level playing field and all that. This morning I spent an hour or so wandering around a very misty Clifton Street Cemetery in Swindon. It was lovely and not spooky at all, as much as I wanted it to be!!!! and unfortunately didn’t see any strange happenings. This cemetery is fascinating as it has lots of old G.W.R. workers graves as well as Commonwealth War Graves. I have only been round a small part of it so far and intend to spend a lot more time there looking around and photographing the graves. Halloween came early to Swindon today. Staff and musicians at That’s Entertainment Music and Video Store in Swindon all dressed up in spooky costumes to entertain customers. I was really pleasantly surprised by how much effort into the clothes and makeup they had made, in my opinion they looked really really good. The music fest was arranged and sponsored by Alan Homes of Homes Music. Well done Alan and well done That’s Entertainment. Todays photo shoot was with the cast of the long running Agatha Christie play The Mousetrap which is due to play at The Wyvern Theatre Swindon next February. Where else could it take place but at The Rat Trap Pub in Stratton. And of course a nice bunch of people they were as well. It was very very sunny outside and so made shooting outside not as easy as it could have been (and it was cold). Inside of course was no problem. I also used my Nikon d800 for the first time. Can anybody see the difference between the two cameras, which shots are on which camera?? Another enjoyable few hours I reckon. A random selection of images from the Mosh Pit at Reading Festival. It was absolutely fascinating watching it and if I had have had an older camera with me I would have gone into it and shot from within the Mosh Pit. It looked a lot of fun. Just a small selection of images of the audience from the two days of The Big Summer Session in Swindon. Now I am not going to repeat what I said in the other post. But I am going to say I thought the audience were absolutely great. Despite all of the weather problems all of the people I spoke to were happy, enjoying themselves and having a jolly good time. It is so nice to watch people enjoying themselves. A success if you ask me. Swindon, how it marks the Funeral of Margaret Thatcher a piece of history. So, this is how Swindon marks a historic event. I for one am very disappointed in the fact that there was nowhere in the Town Centre to watch the funeral of Margaret Thatcher. Now this is absolutely nothing to do with any political leanings I may or may not hold, it is about an event in history and as you can see by these two photos taken shortly after ten o’ clock this morning. Which is when the funeral was taking place in London. The Big Screen was not showing the news as it usually does and only had an advert on it for an art event that was not due to start till 11.30 so in my mind they could have shown the funeral on the big screen. Now those of you who follow my twitter will have noticed that I did question inSwindon about it and there only response (both on Twitter and by phone) was oh it wasnt planned to show it!!!!! I also took the time to talk to several people in Wharf Green and they like me would like to have watched the funeral on the Big Screen and were as equally disappointed as I am. As someone who likes and supports Swindon I just feel a little let down by the town on this occasion. What do other people think????? Late this afternoon I attended the rehearsal of the performance of the Passion Play in a tiny village in rural Spain called Cuevas del Campo. It is where, every year, about 600 of the villagers dress up in authentic costumes and perform the Passion on Good Friday. It is one of those must see activities whilst in Spain at Easter Time. These people are not professional actors, they are the townsfolk of Cuevas del Campo. They re-enact the passion and crucifixtion not for tourists or money or anything like that, but to honour their beliefs and traditions in a spectacular fashion not to be missed. 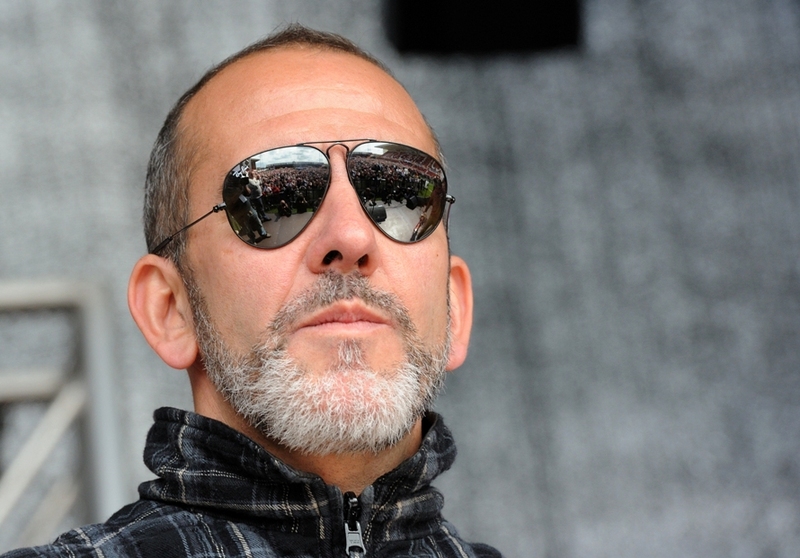 Paolo Di Canio Resigns from Swindon Town Football Club. Well, he has gone and done it. After lots of speculation Paolo Di Canio has resigned from Swindon Town Football Club STFC. I think it is a shame. I am not a follower of football but I do like Paolo and think he has the right attitude to his players, team, club etc and is sticking to what he thinks is right. I have had the pleasure of photographing him a few times now and he seems to be a nice chap. And whats more he is very passionate about what he does. Good luck Paolo with what ever you do next, sad to see you go. Well it depends where you come from. This is not a new photograph. In fact I took it prob about 5 or 6 years ago. Why? Well I was just wandering around the graveyard of The Christ Church on Cricklade Rd Swindon and came across this headstone. It really interested me as do a lot of Military grave stones. So I did a little bit of research. 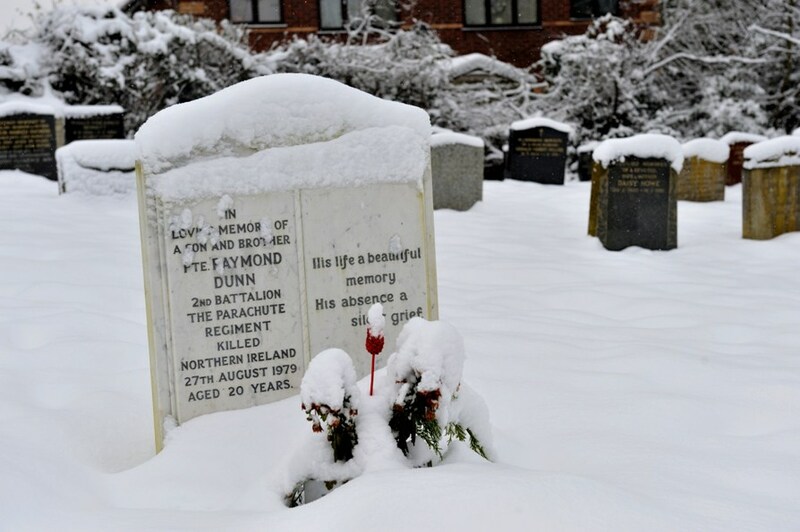 Private Raymond Dunn was in 2 Para and was 20 years old when he died on the 27th August 1979. He was one of the 18 Soldiers killed at the Warren Point Massacre, a guerilla assault by the Provisional IRA South Armagh Brigade. Raymond Dunn died in a Military Conflict, like modern day conflicts, did he want to be there?, did he understand why he was there? did he die believing in a cause or because he was just unlucky to have been sent there? Was he part of an occupying force that should never have been there? Hero or Villain, you have to decide.